As if tax time were not already stressful enough, you might have new worries if your debt to the IRS is growing. Since late 2015, the IRS has had the power to use passports to collect tax debts. H.R.22 added new section 7345 to an already bloated tax code. The new provision is titled “Revocation or Denial of Passport in Case of Certain Tax Delinquencies.” The IRS has recently implemented it too for seriously delinquent tax debts. That generally means more than $50,000. The IRS can’t take your passport exactly, but it can tell the State Department to do so. Section 7345 of the tax code isn’t limited to criminal tax cases, or even cases where the IRS thinks you are trying to flee. Recently, the IRS released new details on its website. If you have seriously delinquent tax debt, IRS can notify the State Department in a formal certification. The State Department generally will not issue or renew a passport after receiving a certification from the IRS. The IRS website will be updated from time to time about such notices. With the arrival of new IRS rules, it is worth considering how you might hold onto your passport even if you owe the IRS. A seriously delinquent tax debt is a key term. If you don’t have one, your passport is safe. So if you must owe, keep your debt below $50,000. But that includes penalties and interest, so beware. A $20,000 tax debt could eventually grow to $50,000. And be careful, once your tax debt is labeled ‘seriously delinquent,’ you paying it down to $49,999 may not help. The IRS will not reverse a certification because the taxpayer pays the debt below $50,000. You can usually contest tax bills if you do so promptly. The IRS usually sends multiple notices for any tax debt, and you should respond. Explain why the IRS is incorrect, and keep protesting. If you receive an IRS Notice of Proposed Deficiency or Examination Report, respond. It is sometimes called a “30-day letter,” because of the deadline for response. Prepare a protest, and sign and mail it before the deadline. Keep a copy, and proof of mailing, preferably certified mail. Normally a protest will land you in the IRS Appeals Office, where you have another chance to resolve it. If you fail to protest or you don’t resolve your case at IRS Appeals, you probably will receive a Notice of Deficiency. An IRS Notice of Deficiency comes via certified mail. It is often called a “90-day letter,” because you have 90 days to respond. Only one response to a Notice of Deficiency is permitted: filing a Tax Court petition in the U.S. Tax Court clerk’s office in Washington, D.C. The U.S. Tax Court cannot hear your case if you miss the 90-day deadline. You want to keep your tax dispute going so the tax debt does not become final. You can sometimes get extensions from the IRS, so keep communicating. For many notices, the IRS will grant an extension of time to respond. In some cases, though, they can’t. For example, when you receive a Notice of Deficiency (90-day letter), you must file in Tax Court within 90 days, and this date cannot be extended. Most other notices are less strict. If you do ask for an extension, confirm it in writing. In fact, confirm everything you do with the IRS in writing. If you get a certification that your debt is ‘seriously delinquent’ contact the phone number listed on the IRS Notice. If you’ve already paid the tax debt, send proof to the address on the Notice. You also might be able to prove that you need your passport. 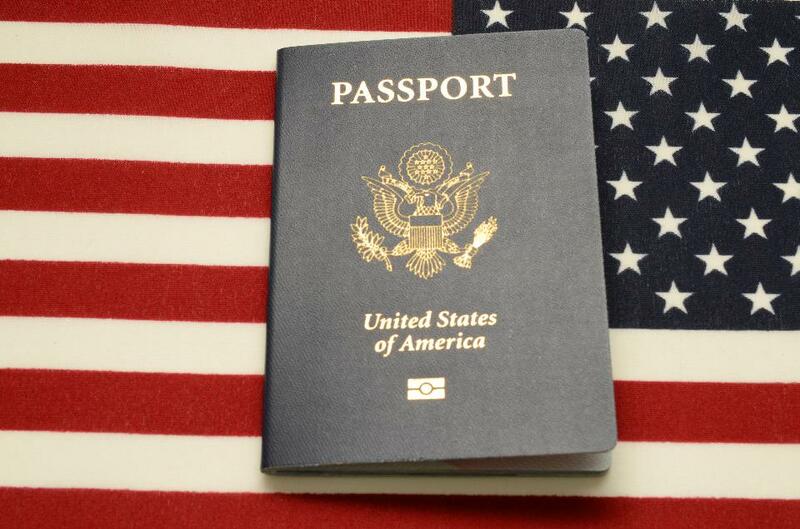 If you need your U.S. passport to keep your job, once your seriously delinquent tax debt is certified, you must fully pay the balance, or make an alternative payment arrangement to keep your passport. Once you’ve resolved your tax problem with the IRS, the IRS will reverse the certification within 30 days after resolving the issue. It is often not too hard to get an installment agreement with the IRS to pay your tax debt over time. If you sign one, stick to its terms. Even if your debt is huge, the IRS doesn’t call it ‘seriously delinquent’ if you are paying the installments on time. You can also try an offer in compromise. If the IRS accepts an offer in compromise to satisfy the debt, the rest of it can be forgiven. What if the tax debt was your spouse’s, and you are saddled with it because of joint tax returns? You might qualify for innocent spouse treatment. This is a separate big topic, and rules are complex. However, it’s significant that the IRS can suspend collection efforts if you request innocent spouse relief (under IRC Section 6015). In fact, there are many taxpayer protections when it comes to IRS collections. One set of protections is collection due process hearings. If you make a timely request for a collection due process hearing in connection with a levy to collect the debt, you may at least buy time to work out a deal with the IRS.